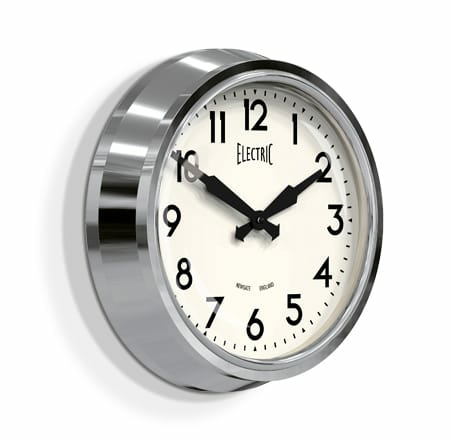 The chrome finish Electric Clock has modern, simple features with a vintage feel that create a timeless appeal. A true classic. Measurements: 37 cm diameter x 10 cm deep. Requires 1 x AA battery that is not included. England At Home in Brighton, United Kingdom.